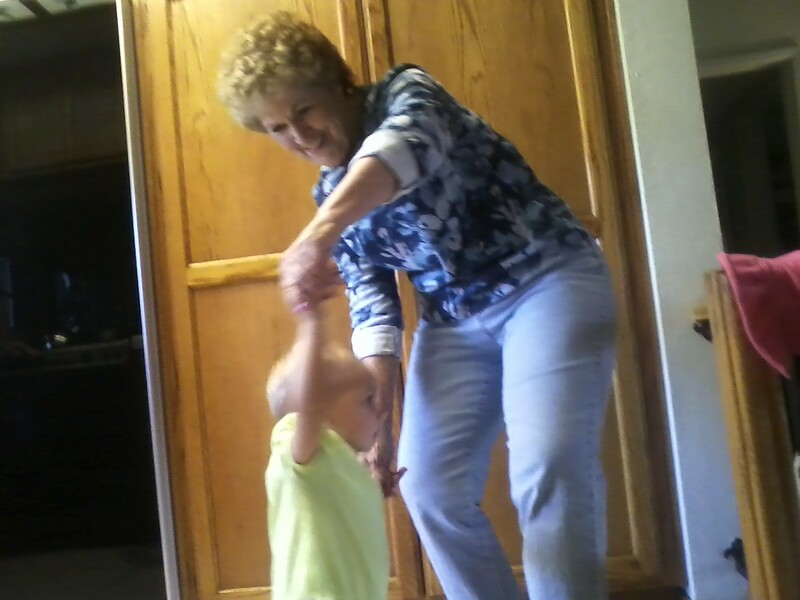 I’m dancing with Nana! We are listening to oldies and raising the roof and doing the twist. Papa is making us salmon and eggplant for dinner. I tried some eggplant and it was yummy. I can’t wait to eat the whole thing. I can get into chairs by byself now, by the way. Follow those Huckleberries: the more, the merrier!